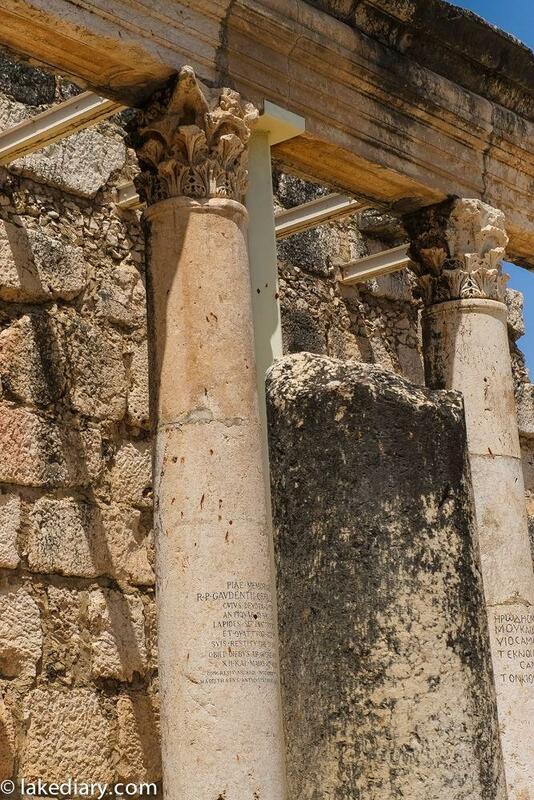 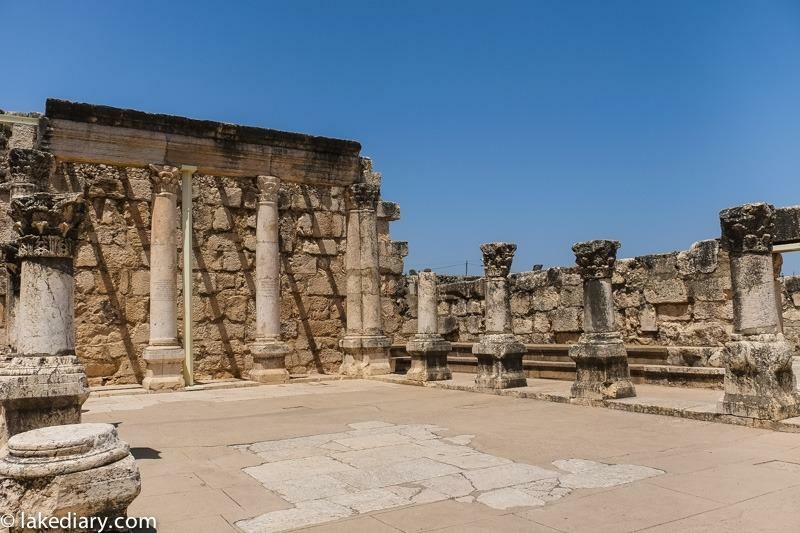 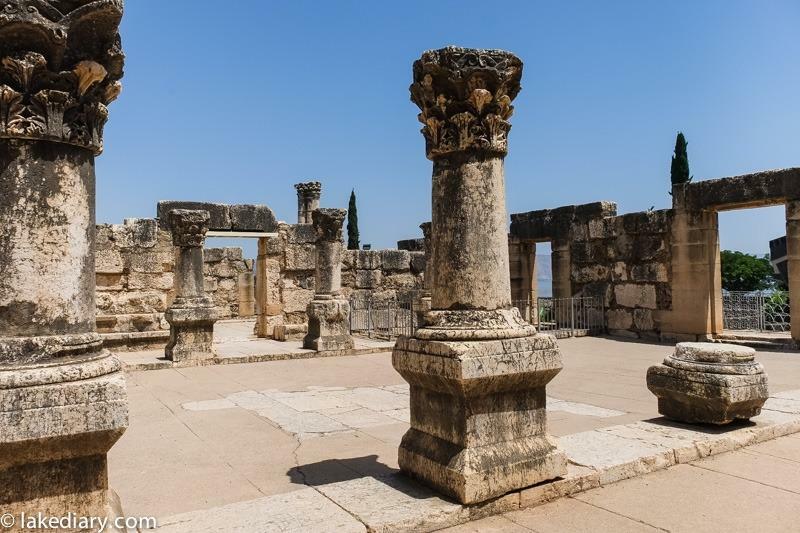 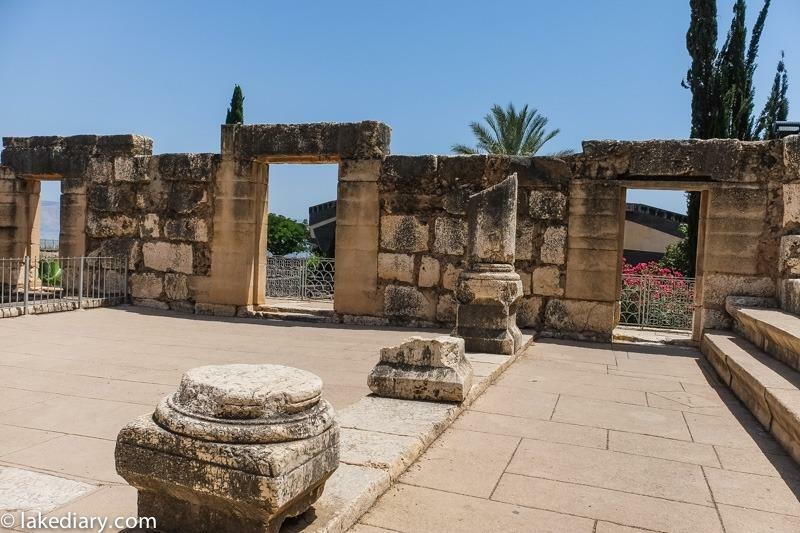 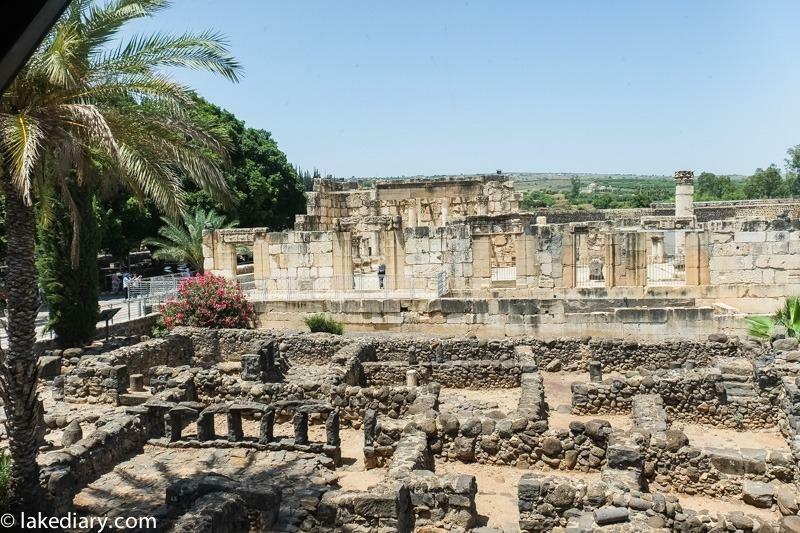 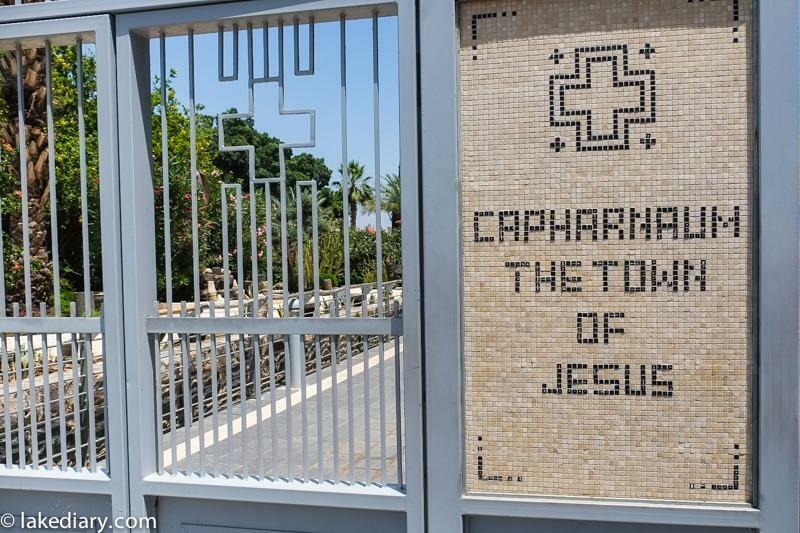 Capernaum used to be a fishing village located on the northern shore of the Sea of Galilee. 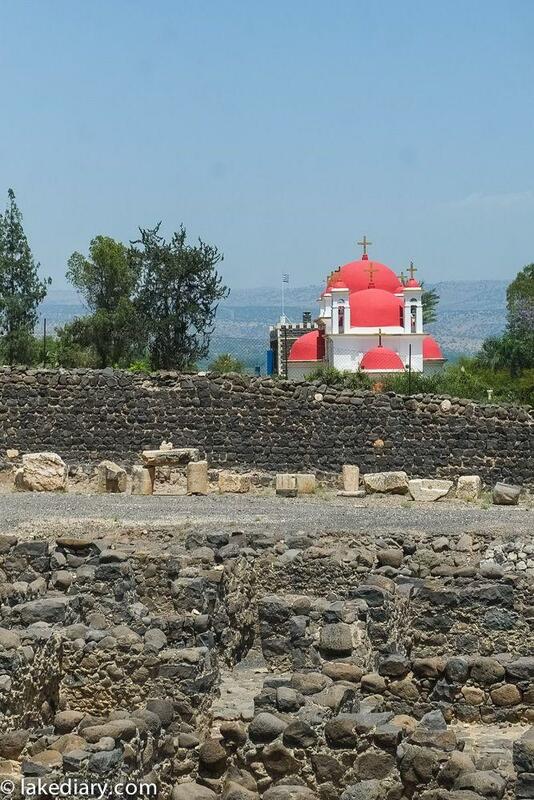 A house turned into a church by the Byzantines is said to be the home of Saint Peter. 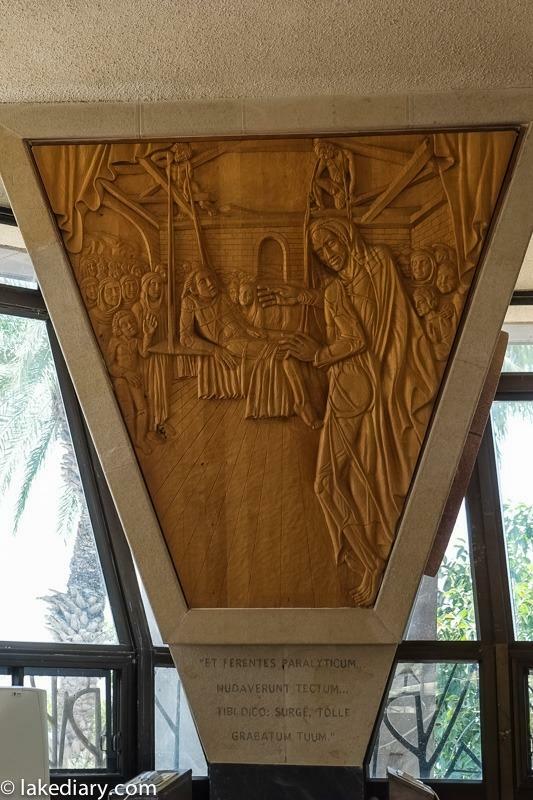 This is a modern Memorial built over the house of St Peter. 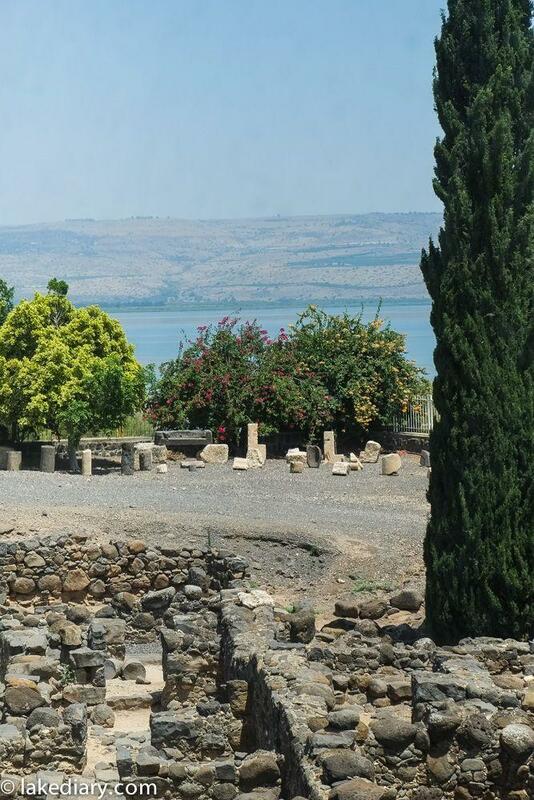 Those squares of black stones were windows of ancient people’s houses. 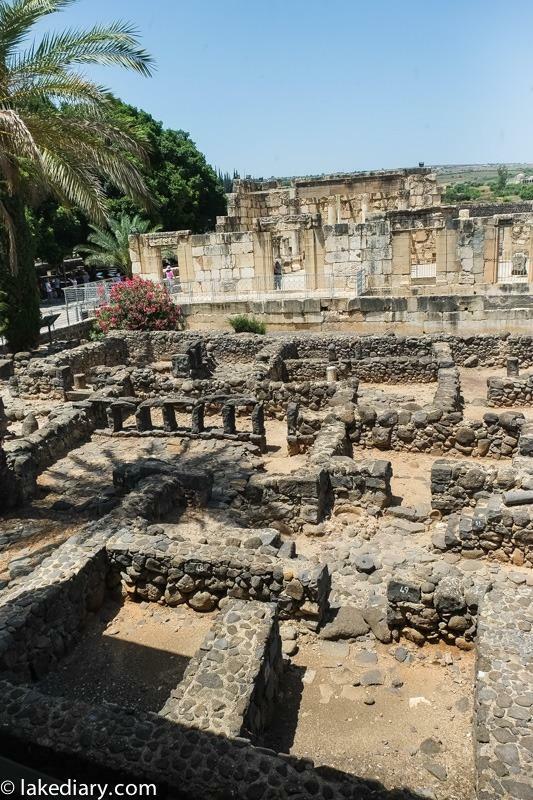 Above those black ruins are ruins of of the 4th-century synagogue. 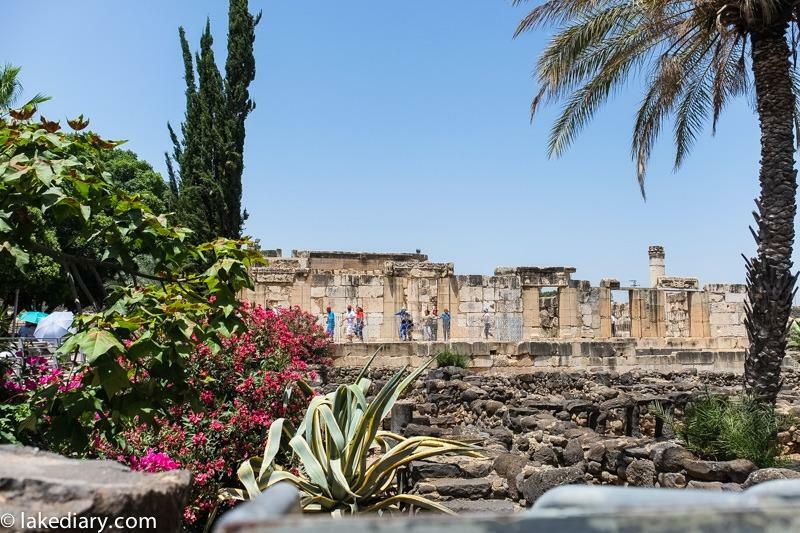 Remember I said I love ancient ruins? 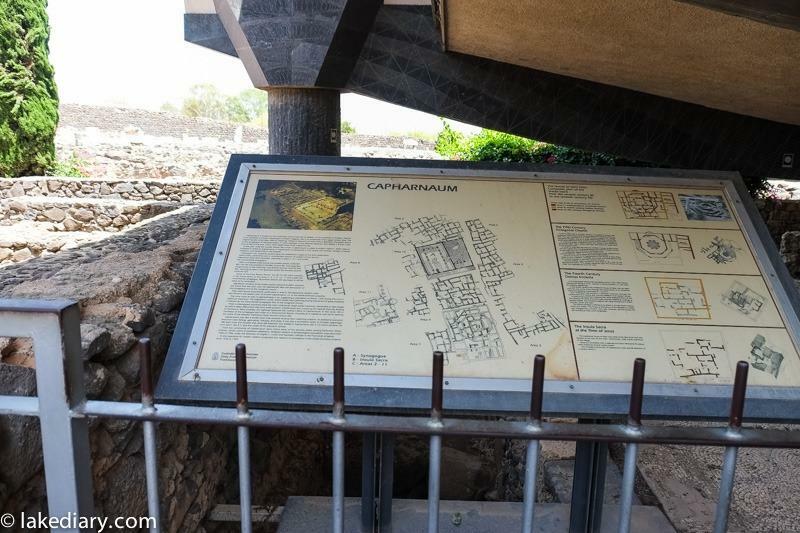 Capernum is ruins heaven! 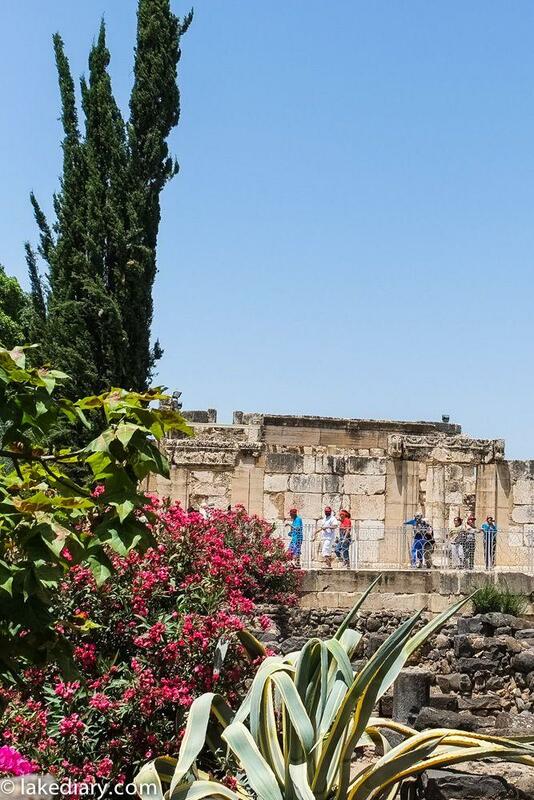 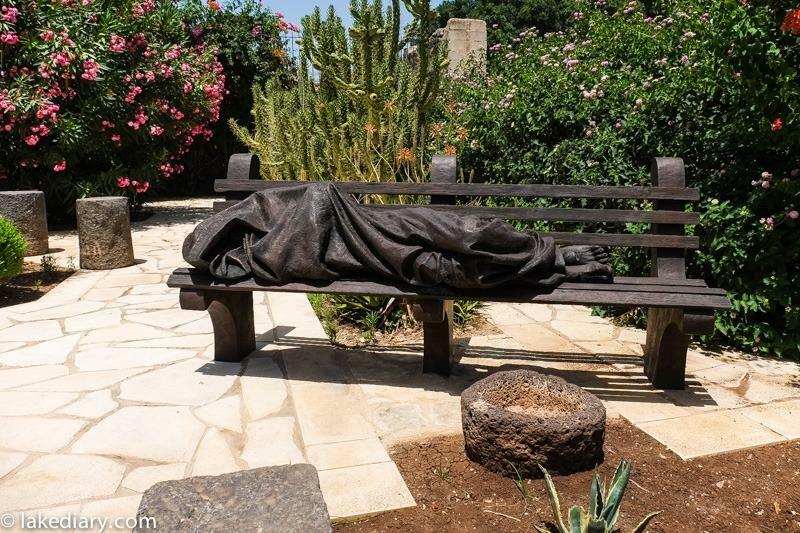 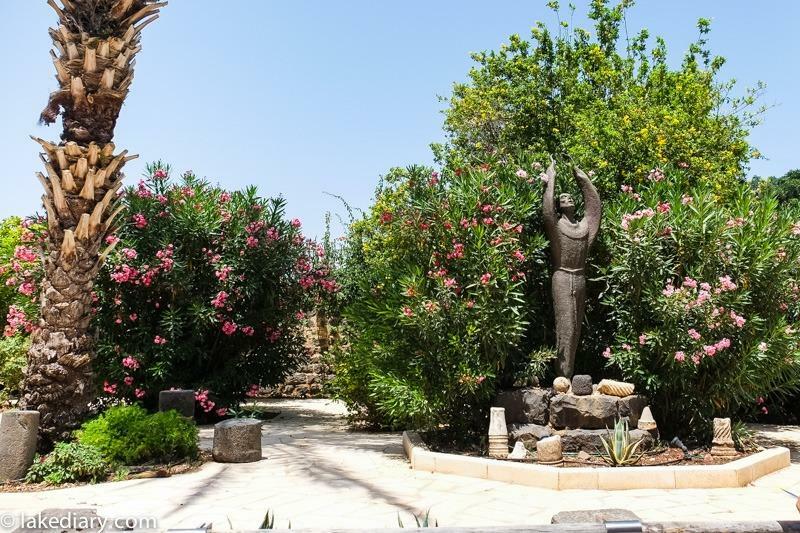 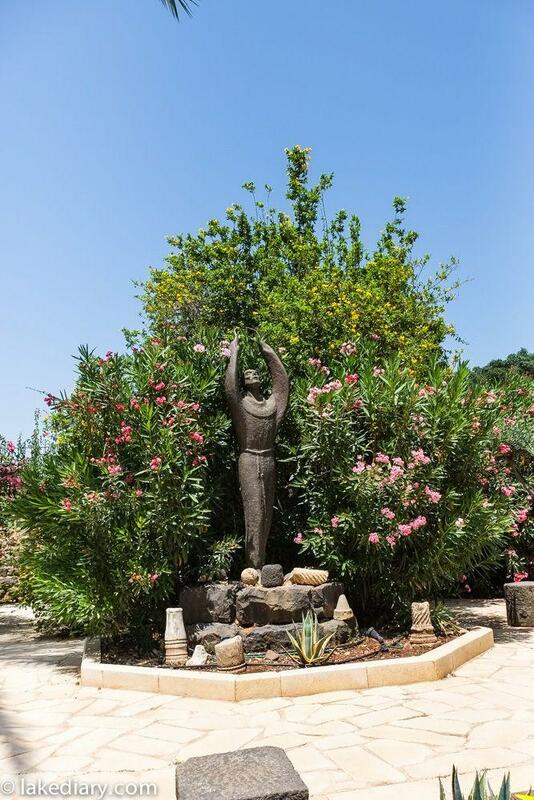 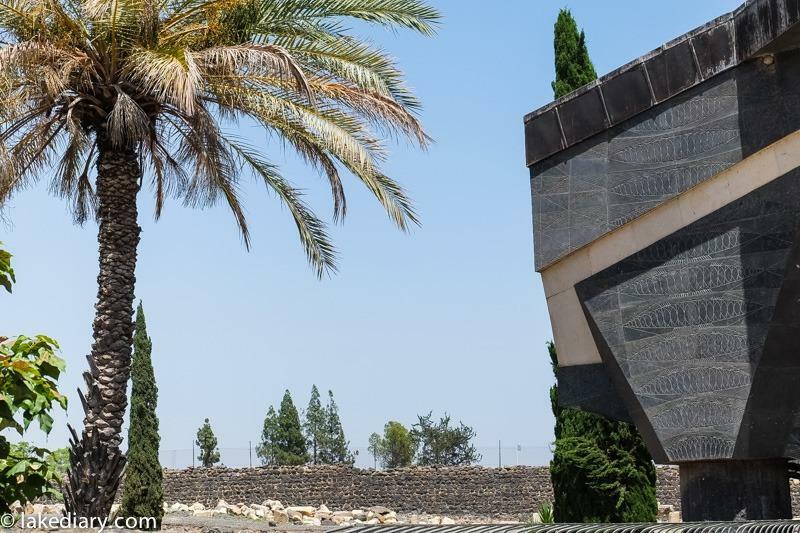 Look at that – how beautiful is Capernaum?